What follows is an informational press release from United Healthcare regarding their negotiations with CHOA’s Physicians Group. The Benefit Company will continue to monitor this situation and provide updates as soon as they become available. 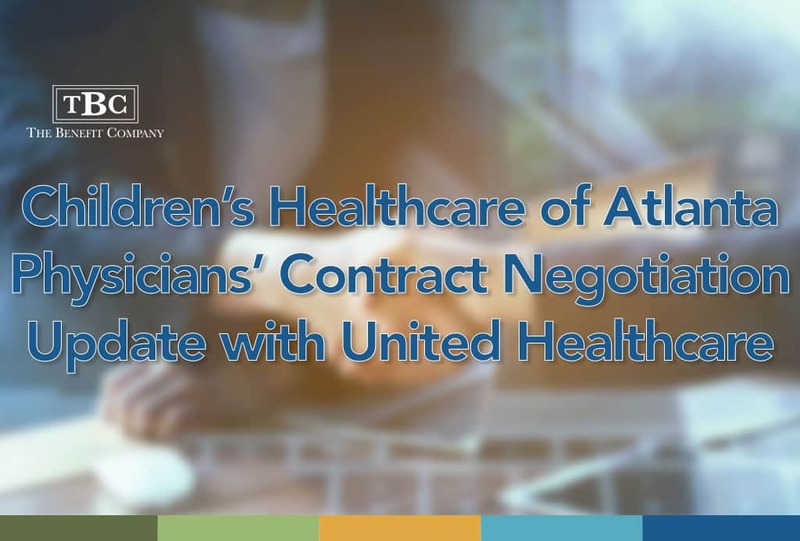 We want to let you know that despite continued efforts by both parties to negotiate a new contract, we have not yet reached an agreement to renew Children’s Healthcare of Atlanta (CHOA) physicians’ participation in our network for employer-sponsored and individual plans. If we are unable to reach an agreement, CHOA physicians will no longer participate in the UnitedHealthcare network as of July 1, 2018. We appreciate the role CHOA plays in our community and our goal remains to find an acceptable solution that will renew in-network access to its physicians. Continuity of Care is available to individuals who qualify, including those undergoing active treatment with a CHOA physician for certain conditions, providing continued in-network benefits for a period of time if CHOA physicians go out of network. Members should call the number on their ID card to see if they qualify for Continuity of Care. This negotiation does not impact CHOA’s hospitals, which continue to be in-network for UnitedHealthcare employer-sponsored and individual plans. We are fortunate to have relationships with many physicians who continue to have admitting privileges to CHOA’s hospitals, even if CHOA’s physicians were to go out of network. Our top priority is the more than 1.2 million individuals across Georgia who depend on us for access to quality, affordable health care. We remain committed to working with CHOA in an effort to reach an agreement that supports the community’s access to quality, affordable health care.